As of the last update, it seemed like the anticorruption reform – one of the last unfulfilled promises of the Pacto por Mexico – was close to being passed and certainly during the current legislative session. Alas, the reform is still in legislative purgatory. Ironically, since the last update the political crises stemming from corruption have only intensified, making this reform more important than ever. Currently, the anticorruption reform is still stuck in the Mexican Congress. The PRI and PAN continue to debate certain details of the reform, including the role of an independent commission in fighting corruption. It seems unlikely the reform will pass in this legislative session, and will almost certainly be pushed off until next year. At the same time, the appointment of a Special Prosecutor for Corruption Crimes has not fared any better in the Senate. The Special Prosecutor will be located within the office of the Prosecutor General, and the President may object to the Senate’s nominee. The Senate was presented with 33 options for the position (see below), but negotiations broke down. It is unclear why the negotiations have broken down. Most recently, Minister of the Interior, Osorio Chong, asked the Senate to nominate someone to the post and pass the anticorruption reform as soon as possible. Reformed Secretary of Public Administration (SFP) – with more powers to ensure legality in public service, etc. Although the NGOs’ proposal seems great, it does not differ significantly from the other proposals on the table. Perhaps the one exception is the increased ‘independence’ of the Special Prosecutor and ASF. Still, it is not clear how this would work. To which branch would the Special Prosecutor be accountable? It is a bit scary to think of a prosecutor who can pursue cases without any oversight from the executive, legislative, or judicial branches. Indeed, the whole idea of branches of government is meant to facilitate both independence and accountability. Currently, the President can block the Senate nominee for Special Prosecutor. But, the Senate can simply choose not to nominate anyone if the President is overstepping. The problem with the demands for a new, ‘independent’ body tasked with fighting corruption is the underlying assumption those demands reveal: that the existing branches of government are hopelessly corrupt and cannot be trusted to oversee anticorruption efforts. Still, it is these same corrupt branches that need to pass and implement the legislation. The problem is not with the wording or technical details of the reform. Rather, the key question is whether the political will exists among Mexico’s political elites to genuinely fight corruption. If the real problem is political will, it begs the question of how Mexico can harness this vague, mist-like power. In the United States, efforts aimed at fighting corruption, fraud, and the like have typically arisen from the ashes of a scandal. The Watergate scandal gave us the FCPA. Enron gave us Sarbanes-Oxley. The 2008 financial crisis gave us Dodd-Frank. There are some analogues in Mexican history. For example, the bank nationalization in 1982 prompted the rise, albeit slow-moving, of the PAN. The problem with corruption in Mexico is that is often viewed as a natural – even beneficial – condition, including by business and political elites. Thus, Mexico probably needs a major corruption-related scandal to generate the political will necessary for real change. Will Recent Scandals Tip the Scales? 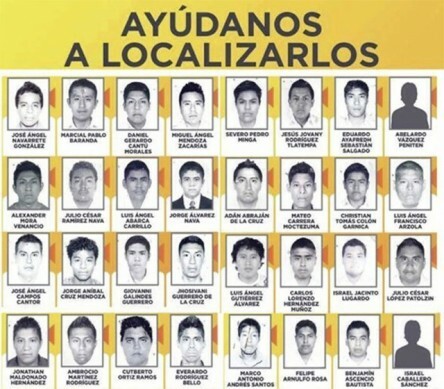 43 Normalistas Disappearance – as previously covered here, 43 student teachers disappeared after an apparent conflict with local police and a drug gang in Iguala, Guerrero. The outrage against the government has only intensified over the past two months, most recently amid media investigations indicating that the police who attacked the students were Federal, not local. Higa Group – just as the protests about the disappearances grew more intense, a local media group – Aristegui – released an investigative report detailing how a company affiliated with a Mexican Company named ‘Grupo Higa’ built a $7 million mansion for Pres. Pena’s wife. The house was left off Pena’s assets declaration because ‘he and his wife keep their assets separated.’ Shortly before the story was published, the government reversed the award of a $3.7 bln contract to construct a train from Mexico City to Queretaro to the China Railway Construction Corp. China Railway bid for the project in a consortium led by none other than Higa Group. Major western competitors like Siemens and Bombardier boycotted the auction due to complaints about fairness. Also, Higa Group companies have won billions of dollars in contracts, both with the State of Mexico when Pena was governor, and with the Federal government since Pena took office. Most recently, the Wall Street Journal released its own investigative report on Minister of Finance Luis Videgaray, who received a loan from a Higa Group-affiliated company of about $600K to purchase a house from … the owner of Higa Group. Videgaray made the purchase in October 2012, after his future role in the government was publicly-announced. Notably, Videgaray is considered the ‘architect’ of Mexico’s economic reforms, was Pena’s campaign manager, and was rumored to be a favorite to become the PRI’s candidate in the next presidential election. It is unclear whether these scandals will generate sufficient political will within the political class to truly fight corruption. It seems that the general population has the requisite political will, as illustrated in a recent opinion survey on corruption. The survey revealed overwhelming opinions that corruption has and will worsen in Mexico, and that corruption has penetrated virtually all public institutions. Despite this perception of the existence of corruption, most Mexicans disagree with the ideas that corruption is a necessary evil or is part of Mexican culture. It also seems that economic elites are growing increasingly uncomfortable with how quickly Mexico’s international image has fallen from ‘dream investment destination’ to ‘den of corruption and violence’. Indeed, the disappearances and the corruption scandals go hand-in-hand, in that they reveal the core of Mexico’s political system: impunity. When asked about the loan, Videgaray replied that there could not have been a conflict of interest because he had not yet assumed office (it was a few months before). The disappearance of the 43 students in the middle of a medium-sized city – regardless of who did it – indicates a belief that nobody would care. It is the same mentality that explains why so many PEMEX officers can be caught stealing from the company – from the property of the Mexican people – and yet never be prosecuted. It is why the brother of ex-Pres. Salinas was recently acquitted of corruption charges, despite having accumulated hundreds of millions of dollars in secret offshore bank accounts during his brother’s term. The ideal scenario for Mexico’s way out of this trap is that the agreement among the general population and economic elites on corruption will force the government to change. The pessimistic scenario is that political elites will maintain the status quo until the pot boils over and the federal government is threatened by significant instability (as several states are already experiencing). It only took one month for Mexico to go from model student to failed state. The media is fickle that way. But, the events in Iguala have only highlighted a reality that has persisted in Mexico for several years now (and worsened). I don’t know who was drinking whose Kool-Aid: was EPN convincing the journalists that Mexico had changed because he focused on structural reforms; or did the media’s love affair with the Pacto convince EPN that he was bulletproof? Either way, both are at fault. On September 26, student teachers from the Ayotzinapa Normal School in Guerrero state (normalistas) traveled by bus to the nearby city of Iguala, apparently to obtain three buses for transportation to surrounding towns for their studies and to Mexico City on October 2. Around 9:30 PM, the students were passing through central Iguala in three buses stolen from the bus station, when municipal police attacked them. Two to three hours later, police and members of Guerreros Unidos, a local criminal gang, opened fire on a group of the students who were protesting what had happened earlier. Some time later, a bus carrying the Avispones de Chilpancingo – a division 3 soccer team – was attacked on the Iguala-Chilpancingo highway. The aftermath: six dead; 17 injured; 43 missing. 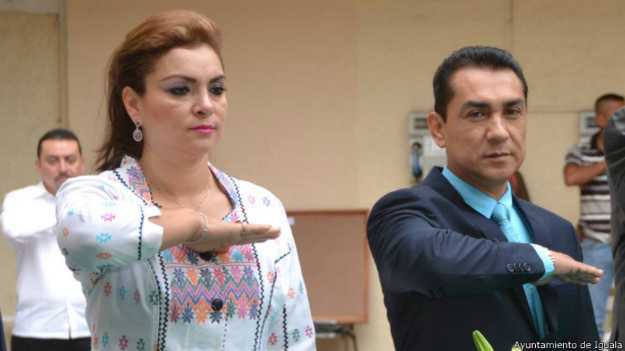 The Mayor of Iguala, Jose Luis Abarca, and his wife, Maria de los Angeles Pineda Villa, fled shortly after the events. The Mexican Attorney General (PGR) then announced that Abarca and Pineda were the ‘intellectual authors’ of the massacre. Why? One account has it that Pineda was giving a speech at the central Plaza of Zocalo when she was told some ‘outsiders’ were approaching. That’s when she told police to ‘teach the kids a lesson’. But the normalistas deny ever approaching the square, although they did drive by it. More important, Pineda is the head of a criminal drug enterprise – i.e., the Guerreros Unidos mentioned above – that split off from the now-defunct Beltran-Leyva Cartel. And it’s not like she changed her name and dyed her hair – everyone kind of knew who she was. There’s even a blog from 2012 that makes all these accusations in great detail, including that Pineda financed the campaign of Abarca and Guerrero Governor Angel Aguirre. Not only is that true, but it also turns out that Pineda had a romantic relationship with Gov. Aguirre. Even worse, Abarca has allegedly done this before: in 2013, when three protesters were killed out of eight kidnapped. Were Normalistas Involved with Narcos? On Thursday, October 16, Federal Police apprehended another leader of Guerreros Unidos, Sidronio Casarrubias Salgado ‘on a highway outside Mexico City’. Casarrubias, who also goes by Santiago Jaurer Cadena, is a ghost online: nothing shows up for either name prior to his capture. Federal investigators questioned Casarrubias, and he had a different version of events from that night. According to Casarrubias, 17 members of Los Rojos, a rival criminal gang at war with Guerreros Unidos, had ‘infiltrated’ the normalistas and were on the buses that came to Iguala. The purpose was to discretely enter Iguala and assassinate the Benitez Palacios brothers, also of Guerreros Unidos. Casarrubias indicated that he understands – he wasn’t present – that members of the Guerreros Unidos were able to locate and capture the infiltrators, but denied that his men took the students. Interestingly, Casarrubia’s timeline of events starts at midday on September 26, although it is otherwise undisputed that the students arrived at night. Most commentators in Mexico have dismissed Casarrubia’s version. On October 31, a Guerreros Unidos member – ‘Corporal Gil’ – with whom Cassrrubia is in contact claimed that the normalistas are still alive and that Guerreros Unidos is prepared to return them in exchange for the federal government detaining 80 percent of a criminal group comprised of mayors in norther Guerrero and southern Morelos. Normal Schools are a collection of rural institutions set up during the 1920s right after the revolution. The idea of a Normal School is to serve the socioeconomic needs of the region. The students come from extreme poverty and will train to be teachers in the communities from which they came. The students do not pay tuition or board, and in principle the government supplies food and other items as well. Over time, the Normal Schools have evolved into incubators of radical – usually Marxist – politics. At the same time, the federal and state governments have slashed funding for the Normal School system. The students of Normal Schools are known for their aggressive tactics to convey political messages – the main one being that they do not have enough funding. These tactics include blocking highways, commandeering buses, and stealing gas (this account from inside the Ayotzinapa school provides a good account of their thinking). Sometimes, this leads to violence. Indeed, the night of the incident in Iguala, the students apparently injured a car wash attendant while passing through town. In 2011, police killed two students from the same school in skirmishes when the students blocked a highway. There is a lot of public sympathy for the normalistas right now. But before September 26 they were not well-liked by people in Guerrero. Some of the animosity came from their ‘political’ tactics. But, it is also well-known in Guerrero that Normal Schools historically have served as an intellectual training ground for guerrilla movements in the region. One of these groups – the Insurgent People’s Revolutionary Army (EPRI) – announced the creation of a brigade dedicated to punishing those responsible for harming the EPRI’s ‘normalista comrades’. 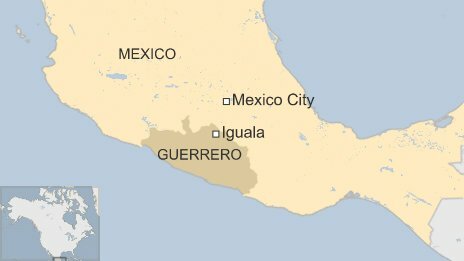 The Iguala event represents the most dramatic expression to date of several forces that have been brewing for some time in states like Guerrero. The basic recipe is extreme poverty, an ideal geography for drug trafficking, and non-existent rule of law. But many argue that the immediate cause was the Calderon administration’s strategy in their war on the cartels. Calderon focused on taking out high profile members of the leadership in the eight major cartels at the time. And they were successful. 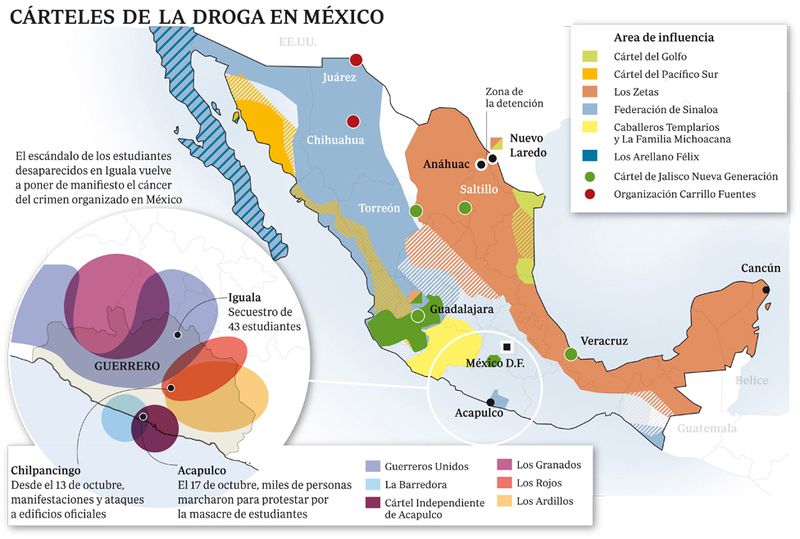 But the ‘perverse effect’ was to encourage mid-level cartel members to splinter off and form their own independent groups, as the map below illustrates. 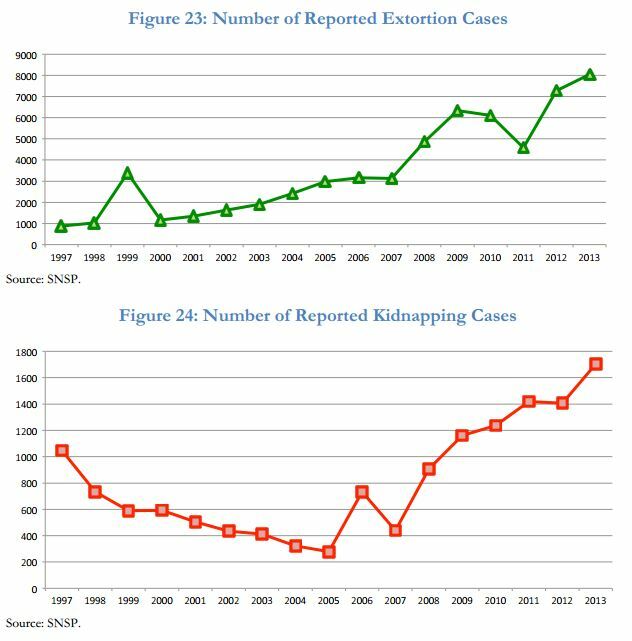 So violence has both worsened and impacted regular citizens more directly, and as the Iguala case illustrates: the government/police are not there to help. Most people in regions like Guerrero cannot move because they lack the resources. Thus, poverty, violence, and non-functional state = irregular, quasi-state organizations. The events in Iguala have seemingly ‘awoken‘ these groups, which had been dormant for over a decade until now. As you can see, the Mexican southwest is a lot like the pre-Civil War western territories of the U.S. (i.e., the ‘Wild West’). Why? The Mexican government is lying in the bed it itself made over 70 years of corporatist PRI rule. Under that system, the PRI avoided challenges to its hegemony by organizing society into corporate ‘sectors’ through massive official organizations. The PRI could address concerns of these sectors through these groups and by doling out benefits via its control over most of the economy. Most people got what they wanted from this arrangement, and the development of organic civil society was stunted. Then, the PRI system – and benefits from state-controlled economy – receded. But no institutions remained allowing citizens to self-organize and express demands to government. This was worse in the impoverished rural areas, which also happen to be ideal for cultivating and transshipping drugs. So, the cartels stepped in and replaced the PRI as patrons to the community, buying loyalty with cash. And the autodefensas stepped in to provide security. The entire state and local government apparatus is not trustworthy – this is not a matter of voting in better people next time. 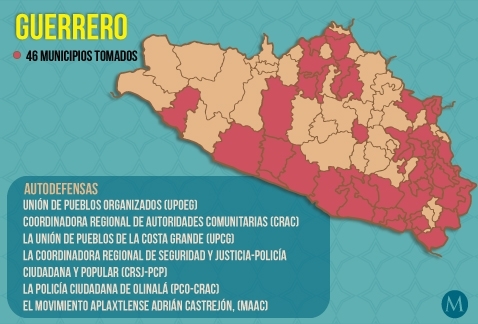 Guerrero requires a sustained federal military/police presence in the foreseeable future. There are already several military installations near Iguala – some of the normalistas tried to get help at one – but I’m referring to a force that is trained in military-civilian relations and acts like a police force. By 2010, the CICIG had helped get rid of thousands of corrupt police, ten prosecutors, three supreme court judges, and an attorney general. 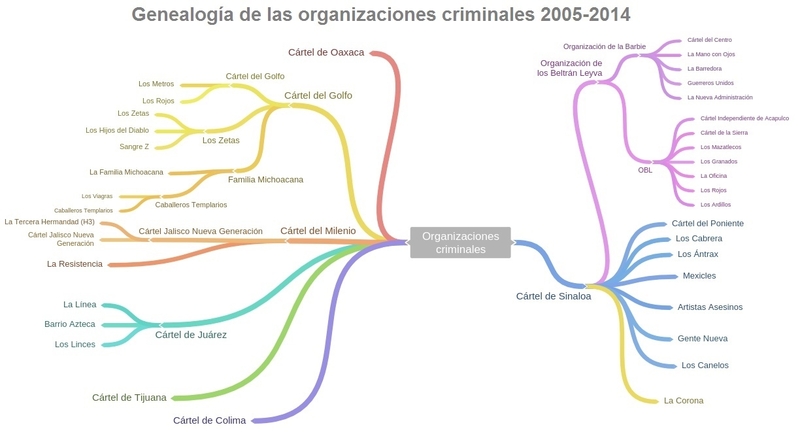 CICIG also supported Guatemalan prosecutors with the trial and conviction of 130 criminals (e.g., a former President). The CICIG has been controversial – alternately accused of overstepping and holding back. Still, its successes by far outnumber its failures. Mexico cannot rely on its existing institutions to solve the problems in states like Guerrero. Even the federal authorities often collude with local criminals – e.g., one of the late brothers of Pineda paid federal prosecutors USD 450K per month in exchange for information on their investigations. Mexico needs a new institution like the CICIG to cleanse institutions and bring closure to the families of the disappeared. Previous posts described the latest developments with the Anticorruption Reform in the Chamber of Deputies (the Senate passed a version of the reform in December 2013). Although long-delayed, it appears that the Congress will pass the reform during the current legislative session. So far, the PRI has been the only party to put forward a detailed proposal implementing the anticorruption promises from the Pact for Mexico. Last week, the PAN released its proposal for debate in the Chamber of Deputies. In December 2013, the Senate approved a version of the reform that was almost identical to Pres. Pena’s proposal. The reform then languished for ten months in the Chamber of Deputies. Last year, the PAN and PRD did not articulate detailed proposals in opposition to Pena’s, despite expressing fundamental disagreement on certain elements. 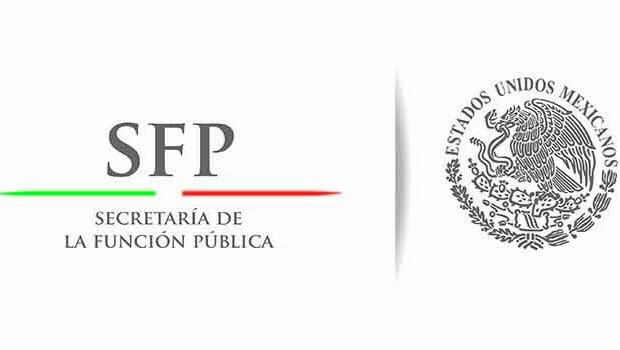 In recent debates the parties have focused on whether an Anticorruption Commission is needed as a replacement for the Secretary of Public Administration (SFP), which is currently the only body with an anticorruption mandate (part of Pena’s reform proposal involves shuttering the SFP). Indeed, the central issue in the Anticorruption Reform debate is who (which institutions) will fight corruption. Mexico already possesses an adequate legal framework for acts of corruption. Rather, Mexico, like many countries, has fallen short on enforcement. 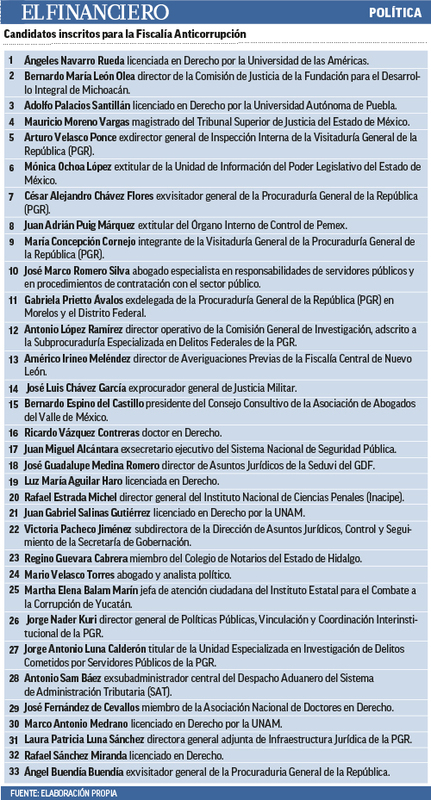 The political battle over the reform is between the PRI and PAN, as they have the most members whom a new anticorruption enforcer could target. In particular, the PAN may worry that a PRI-appointed enforcer would focus on scandals that arose under the previous two PAN administrations. 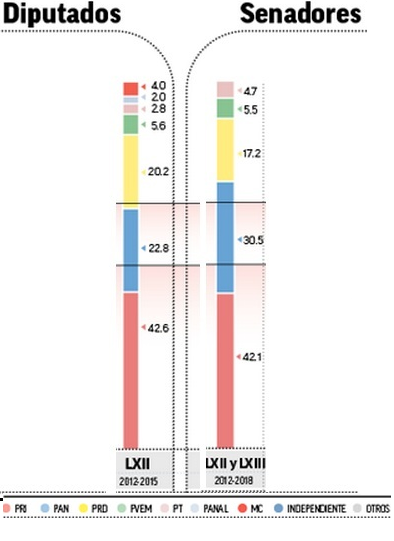 The current party composition of the Mexican Congress is complicated (image shows % breakdown for each party). Neither the PRI nor PAN can pass constitutional reforms (need 66.7 percent) or regular legislation (need simple majority) without the support of one or more third parties (for full numbers and excellent infographic, go here). But both the PRI and PAN have the power alone to veto constitutional reforms. Thus, the PRI and PAN must cooperate on constitutional reforms, but the PRD’s support is key for regular legislation. The other main political parties provided their views on the PAN proposal after the announcement. One PRI legislator on the Political Coordination Committee in the Chamber of Deputies stated that the PAN proposal “goes along with that of Pres. Pena” and the PAN idea of implementing a national anticorruption system is “very acceptable.” The PRD was not critical of anything specific in the PAN proposal, but argued that both the PRI and PAN proposals would be insufficient to deal with the problem of corruption. Instead, the PRD proposes adopting more systemic measures such as strengthening auditors within all government agencies. Although it lacks some details, the PAN proposal reveals a few key perspectives on that party’s thinking about the Anticorruption Reform. First, the PAN would prefer to create new agencies that have no enforcement power (National Council and Citizen Ethics Committee), while retaining those that are already in place (SFP, ASF, Special Prosecutor). This arrangement disperses anticorruption enforcement across multiple agencies and ensures that the enforcers – Special Prosecutor, SFP, ASF – will be known quantities. Second, it looks like the PAN is ready to work with the PRI (and vice versa), as the two proposals are not incompatible. This is unsurprising due to the vote math – neither party wants to breach the Pacto on this issue. One interesting potential outcome would be the survival of the SFP. The PAN wants to keep the SFP and the PRI does not want the headache of creating the Anticorruption Commission, so everybody wins. For its part, the SFP has been doing its best work recently, with a 50 percent increase in number of sanctions and double the number of officials punished. These impressive results have all been accomplished while operating with an ‘acting’ chief and a 31 percent reduction in staff. 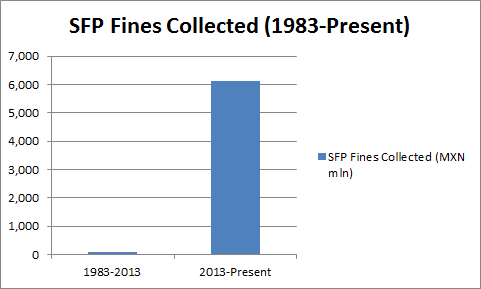 Most important, the SFP has recovered fines of around USD 470 million during the current administration (from fines the SFP imposed during the current and previous administrations). This seems like an amazing number. That’s USD 734K per day over the 21 month period. For comparison, the SFP had recovered only USD 5.8 million over the preceding 20 years. Keep in mind that they are mostly collecting from individuals. The increase is shocking. The SFP has been more vocal about the correct strategy for the fight against corruption, and gave a nod of support to the PAN proposal. People close to the SFP have told me the reason for its recent increase in confidence was knowing that it would be liquidated by the Anticorruption Reform. This removed political pressure from the SFP, allowing it to focus on working cases. Another possible explanation: the SFP hoped the Congress would reconsider the need to replace it – i.e., auditioning for their own job. Another reason for the uptick in activity is that the change in power from PAN to PRI. The SFP faces less political resistance from the executive branch to going after panistas. Ironically, if the SFP survives it will in large part be thanks to the PAN, as the PRI had not floated idea of keeping it before. As for the PRD, it is confusing to read their statements and guess at what they want. Their ideas – e.g., strengthening internal audit units at government entities – don’t seem consistent with what is in the Pacto. 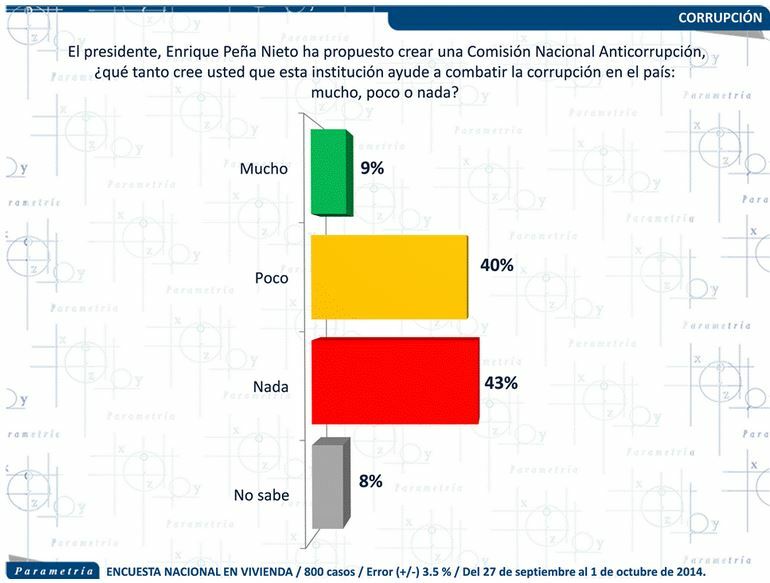 Perhaps the PRD assumes that neither the PRI nor the PAN are serious about fighting corruption. The PRD can sit out the debate and maybe vote against the final proposal. Once everyone realizes that the reform has not changed anything, the PRD will not be ‘tainted’, and can argue that the failure was a feature, not a bug, of the PRI/PAN. No matter the form the Anticorruption Reform takes, the people in Mexico are skeptical that a purported ‘war on corruption’ is real or will have any real effect. A recent public opinion poll found that 43 percent of those surveyed believed that an Anticorruption Commission would have no effect on corruption levels in the country: In the same survey, 48 percent of respondents indicated that the government was more to blame for causing corruption, versus ‘citizens’ (13%), ‘businessmen’ (5%), or ‘everyone’ (30%). Every bribe transaction requires at least two guilty parties, one in the government on the receiving end and one from private sector/society on the giving end. Although this suggests a 50-50 split in guilt for ‘causing’ a specific corrupt act, I agree with the Mexicans who answered the survey. The government receives a guilt ‘premium’ because officials should act in the public interest, but we expect people to be more greedy in their private dealings. Also, the government should fight corruption, not permit a system to exist where even those found guilty escape punishment. Government allows a culture of impunity to grow by making a sham of its central purpose – ensuring the rule of law. Mexico is at a turning point in its history and has a lot at stake. It would be unfortunate if the Anticorruption Reform was also a sham, as it is an essential first step towards building the rule of law in Mexico. Without that foundation, none of the other Pacto reforms will be successful in promoting economic growth and development in the long term. In a previous post, I discussed how informality may or may not weigh on Mexico’s economic performance. Here, I will look at foreign investment, with a particular focus on foreign direct investment (FDI). The issue of foreign investment is a good proxy for a broader discussion about liberalization – i.e., does liberalization of trade and investment generate strong and sustainable economic growth and development. In this regard, Mexico presents a vexing case for proponents of the liberalization approach to economic policy. This issue is significant given that the consensus approach to economic reform among Mexican economic and political elites is further liberalization. The consensus view is that the reforms will attract foreign investment – which they likely will – but with the implicit assumption that increased foreign investment is universally positive. Trade Liberalization – starting with unilateral acceptance of the General Agreement on Trade and Tariffs (GATT) and culminating with the North American Free Trade. Agreement (NAFTA), Mexico can now boast having signed more free trade agreements than any other country. Investment Liberalization – in 1993, Mexico passed the Foreign Investment Act, which repealed and replaced the country’s existing framework adopted in 1973, and eliminated ‘anti-foreign investor’ provisions such as performance requirements, capital controls, and domestic content percentages. The 1993 Act also opened up some industries and activities to foreign investment – e.g., mining, secondary petrochemicals, ports, transportation, land development along Mexico’s coasts. In some cases the new law imposed conditions on such investments, such as requiring they be made via local entities. Moreover, the 1993 Act preserved longstanding policies of excluding foreigners from investing in certain industries (most notably, oil and gas). Privatization – in the 1990s, Mexico privatized whole swaths of the economy that had previously been entirely in the state’s hands, starting with the telecom and banking industries and followed by mining and air and sea transportation. From 1982-2003, the total number of Mexican State-Owned Enterprises (SOEs) dropped from 1,155 to 258, with 439 (38%) of the SOEs disappearing via privatization. Deregulation – Mexico also adopted several measures that deregulated certain industries. For example, the Mexican government deregulated the trucking industry to encourage competition, by reducing barriers to entry and eliminating tariff ceilings. At a macro level, the reforms adopted over the 1980s-90s did not generate the level of economic growth expected and hoped for by the Mexican authorities, averaging just 0.76% annual GDP growth from 1996-2012. Moreover, Mexico was comparatively less-insulated from the 2008 financial crisis, during which it experienced a 7.7% drop in GDP per working age person. Despite Mexico’s economic underperformance, it appears that the reforms did generally have their intended effect. On foreign investment, FDI grew by 1,125% between 1990-2007. Mexico also substantially improved on more substantive measures like economic diversification, technological specialization, and economic complexity. Paradoxically, although the high levels of FDI in Mexico were associated with increased total factor productivity, they appeared to depress labor wages while increasing returns on capital. The disproportionate harm suffered by Mexico following the 2008 financial crisis was another likely effect of the success of the liberalization policies, as the country’s entire manufacturing sector is dependent on U.S. companies and consumers. Mexico’s arguably net negative – and at best mixed – results from its liberalization efforts highlight the need for a more refined understanding of foreign investment than ‘yes vs. no’. The drawbacks of relying on FDI – including balance of payments problems at the national level – are not controversial. But the quality of FDI received can also benefit or damage the underlying development of an economy, beyond causing short-term fiscal or financial instability. In Mexico, FDI was typically clustered in manufacturing activities at the end of a global supply chain, where all the high-value work is completed elsewhere. Mexico’s role in the supply chain is final assembly – e.g., before the car or TV is shipped to the US for sale. Such facilities are colloquially known as ‘screwdriver factory’ because the only tool needed to complete the job is simple like a screwdriver. The high-value work – design, programming,j fabrication, machining – is done in the USA, Germany, and East Asia. Naturally, ‘screwdriver factory’ FDI generates jobs that are low-skilled and low-wage because their function is inherently limited to low-value assembly. Investment decisions in this area are dictated by labor costs at the low end of the spectrum, giving poorer countries a competitive advantage. But, this advantage will diminish to the extent that the workers at FDI-fueled jobs experience wage growth (i.e., enjoy the benefits of economic development). If labor costs grow above a certain point, the foreign investors will relocate to a different market with lower costs. In the meantime, the workers have not received any technical training and the host country has not received any meaningful technology transfers. 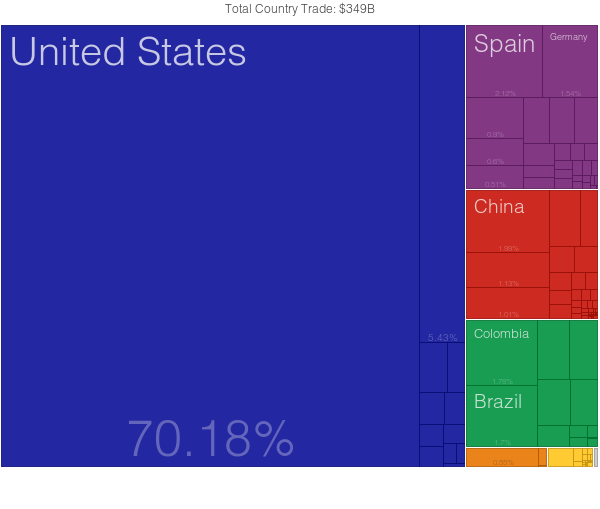 You can get a sense of Mexico’s role in the global supply chain from this map of its 2008 exports (source). 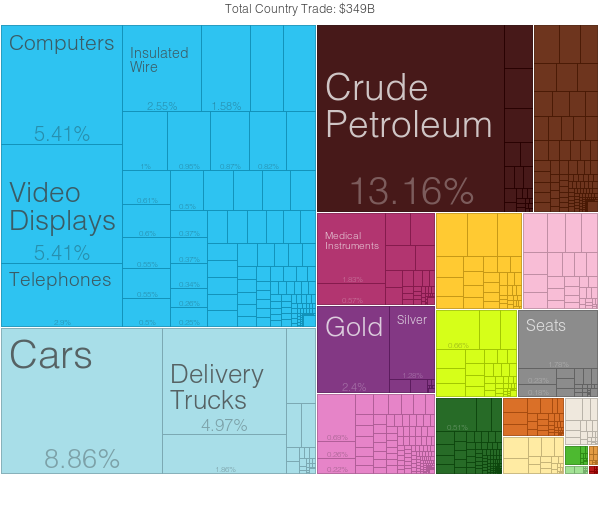 All of this is not to say, however, that all of Mexico’s inbound FDI was ‘bad’. Indeed, in industries like pharmaceuticals and medical devices, Mexico has received investments that are more permanent and add value and sophistication to the economy. But the few good investments won’t be enough to solve the problem. Mexico faces the prospect of ‘premature deindustrialization’, whereby manufacturing will cease to be a growing source of employment as wages rise, but before Mexico is able to capitalize on the benefits of increased manufacturing. Before the supply chain became global and then ‘unbundled’, countries receiving FDI could count on manufacturers to remain in-country for an extended period of time. In that era, the manufacturers transferred skills and technology to foreign operations because the other, higher-value elements of the business and needed to grow organically near production facilities. China exploited the era of ‘clustered’ manufacturing most shrewdly, typically requiring Western companies to invest via a minority share in a joint venture with Chinese SOEs. Eventually, foreign investors learned that their Chinese JV partners were not trustworthy, such as when the Chinese company would set up companies to compete against the same joint venture. The outright theft of intellectual property and corporate secrets by Chinese partners has been called “the greatest transfer of wealth in history” by Gen. Keith Alexander (fmr Dir. of the NSA). But in the era of the unbundled global supply chain, manufacturers do not have to commit to putting all their operations in one location or region. And the liberalization of capital movement has made relocating low-value assembly facilities quite simple. Thus, it is unclear whether low-value manufacturing FDI contributes to overall economic development. Also, increased FDI of the type Mexico has received seems to have a net negative impact on wages, raising the question of low-value FDI’s purpose. What Should Mexico Do Next? Mexico’s lack of success with liberalization in the past does not mean that the Pact for Mexico reforms are doomed. The Energy Reform – which aims to attract foreign investment into Mexico’s oil and gas industry – differs from past liberalization efforts as it (i) does not relinquish ownership over the industry; and (ii) the investment would necessarily be of a ‘high-value’ nature with ample opportunity for the transfers of technology, skills, etc. Similarly, the Telecom Reform at the least undoes the failures of the Telemex privatization, which was done without an adequate pro-competition regulatory framework in place. Attracting investment to this sector will result in technology upgrades from which Mexico will immediately benefit. While the money is flowing into Mexico, the country also needs to invest heavily in upgrading its infrastructure and education system, which could possibly result from Pres. Pena’s infrastructure spending program and the Education Reform. Anticorruption Update – Wither the Commission? In a previous anticorruption update, I addressed the stalled reform involving the National Anticorruption Commission, and how the creation of a Special Prosecutor for Corruption Crimes further hindered the Commission’s creation. It seems things have gotten worse for the hypothetical Commission since that time. Late last month, the Senate initiated debate on naming the head of the Special Prosecutor, which until now has remained vacant. The person initiating the process was Pablo Escudero Morales of the Green Party (PVEM), who also is President of the Anticorruption Commission in the Senate (unlike in the U.S., the Mexican Green Party is Center-Right and is generally allied with the PRI). About a week later, local media outlets reported that the PRI fraction in the Chamber of Deputies was planning to avoid approving the new Anticorruption Commission, considering it duplicative of the Special Prosecutor. A PAN representative was quoted as saying that his fraction would propose transforming the commission into a Federal Tribunal with Administrative Responsibility. About the same time, Minister of Finance Luis Videgaray visited the Senate, which is supposed to consider the legislation creating the Anticorruption Commission (approved by the Senate late last year. According to Senator Arely Gomez, secretary of the Anticorruption Commission in the Senate, Videgaray indicated that, in the Pena administration’s view, there is no need to create the Anticorruption Commission, as this role could be adequately performed by the Special Prosecutor. Importantly, Videgaray was head of Pena’s campaign and is in charge of all economic reforms under the Pacto por Mexico – i.e., he is a credible source as to the President’s thinking. Essentially, Videgaray (via Gomez) explained that the creation of the Special Prosecutor, plus the transformation of the Attorney General office into an autonomous entity, means that Pena has already fulfilled his promise to create a specialized anticorruption body. Finally, last week Deputy Arely Madrid, President of the Anticorruption Commission in the Chamber of Deputies, declared that the proposal to create the Commission is “imprecise, insufficient, lacks teeth, and cannot be approved just to give speeches and create a new office.” Other legislators were quoted agreeing with Ms. Madrid. PRI Deputy Reyes Gamiz stated that he thought Pres. Pena left this reform for the end because it is difficult to agree among the three parties. Indeed – the next day members of the PAN and PRD fractions in the Chamber of Deputies publicly stated that they consider the Commission to be essential and demanded that the PRI move the debate forward. The trouble with the Commission has everything to do with the precarious route by which majorities are obtained in the Mexican Congress. As this helpful infographic illustrates, either the PAN or PRD, plus some of the minor parties, are able to block any constitutional reform (which requires 66.66% of the votes). Thus, passing the bill sent down by the Senate would require agreement from significant portions of either the PAN or PRD. My guess is that Videgaray’s statements are consistent with Pena’s thinking. He’s too close to the president to go off his leash in such a way, and Pena’s statements at the 300 dinner were far from a full-throated defense of the Commission. It will be interesting to see how this plays out, especially if the Special Prosecutor is named and gets up and running before the Commission debate is resolved. Ronda Cero (August 13) – announce the results of the ‘Round Zero’ – in which PEMEX claims certain oil fields for itself – on August 13. In the subsequent announcement, PEMEX was assigned 83 percent of Mexico’s probable and possible reserves. Ronda Uno (August 13) – announce the fields opened up to the first ‘Round One’ bidding in early 2015. As part of Round One, Mexico hopes to attract investment into 169 exploration and extraction blocks. The public tenders for these blocks will happen sometime between May and September 2015. ‘Decentralized’ Bodies (August) – create the National Center for the Control of Energy and the National Center for the Control of Natural Gas. New Regulators (August) – the President will send to the Senate his nominees to head the National Hydrocarbons Commission and Energy Regulatory Commission, as well as independent advisers to PEMEX/CFE and the Petroleum Fund. New Fund (September) – create Mexican Petroleum Fund and promote the development of national providers/contractors for the energy industry. Human Resources (September) – present the decree on the strategic program for the formation of human resources in the energy sector. Regulations (October) – publish all regulations pertaining to the secondary legislation. Research (October) – present the decree restructuring and modernizing the Mexican Petroleum Institute. Clean Energy (October) – publish guidelines for the issuing of clean energy certificates. Environmental Agency (next 90 days) – publish the rules for the national agency for industrial security and environmental protection in the hydrocarbons sector. According to experts at the Mexico Institute, the most significant event will be the publication of the regulations in October, which will essentially fill in any detail gaps left by the secondary legislation. In the meantime, however, it is safe to conclude that Mexico’s Energy Reform is seen as a major step forward for the country and a major political win for Pena. Whether it will meet expectations is a question for a future post. As discussed in previous posts, corruption in Mexico is a serious issue, costing the country up to around 9 percent of GDP. Thus, it’s not surprising that corruption has made its way onto the reform agenda of the Pacto por Mexico. The Mexican Senate passed the anticorruption initiative in December 2013, but the legislation never made any progress in the Chamber of Deputies. The legislation’s most noteworthy element is the creation of a National Anticorruption Commission, which would have the power to investigate, administratively punish corrupt acts, and refer criminal cases to the Prosecutor General. The Commission would supplant the Ministry of Public Administration (Secretaria de Funcion Publica or SFP), whose sad anticorruption site serves as a reminder of its imminent irrelevance. The disappearance of SFP is probably for the best – its anticorruption enforcement has declined markedly – by about 50 percent in the last year and a half. Moreover, even though the SFP has meted out around USD 10.8 million in fines over the past three years, it only collects in about 0.1 percent of cases. The problem is the SFP’s lack of ‘teeth’, something which the anticorruption reform was supposed to correct. But SFP’s incompetence has been magnified by a lack of leadership as Pres. Pena has delayed appointing a Minister of Public Administration in anticipation of the reform. At first, the anticorruption reform seemed to be one of the top priorities for the administration. But the reform has been stuck in legislative purgatory since January, when the Senate passed the measure and handed it to the Chamber of Deputies. Since then, the Committee on Transparency has met three times but never took up the anticorruption reform; absent an extraordinary session, the soonest we could see movement on the reform is in the September 1 – December 15 session. In the meantime, the status of the anticorruption reform has been confused by the creation of a Special Prosecutor for Corruption Crimes (Fiscalia Especializada en Materia de Delitos Relacionados con Hechos de Corrupcion), within the office of the Prosecutor General. The Special Prosecutor would have the ability to investigate and criminally prosecute violations of Mexican anticorruption law. But this entity also seems to have been left leaderless, and I cannot find any information on it from the Prosecutor General website. Some have argued that the Special Prosecutor spells the end of the Anticorruption Commission, but I’m not so sure. In any case, the existence of overlapping, equally powerless anticorruption agencies naturally has not been effective in combating corruption. 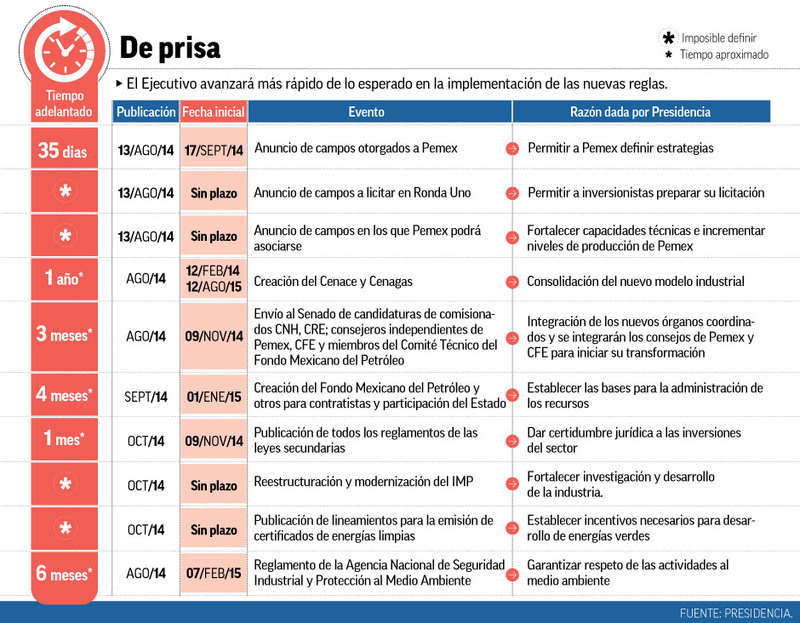 One potential explanation for the anticorruption reform delay: it was a strategic decision by Pena to minimize PRI-PAN tensions while passing the other reforms, on energy and telecom, for which he needed PAN support. Any anticorruption drive will almost certainly be focused on conduct occurring in the previous PAN government(s) (e.g., the Banamex case). This is partly out of necessity – the PRI has not been in charge long enough for there to be many post-PAN cases. But, whether fair or not, any cases brought against Panistas will probably be viewed as politically-motivated, and could undermine PAN support in the legislature. With the major reforms passed, Pena may be ready to end his ‘truce’ with PAN and launch an anticorruption drive. Although the overarching anticorruption reform is languishing in congress, the soon-to-be-enacted Energy Reform contains several specific anticorruption provisions. Why does PEMEX need special attention when it comes to anticorruption? It is often considered the most corrupt entity in the federal government, with 80 percent of Mexicans associating the company with corruption. About one out of every three Mexico-related foreign bribery enforcement actions by the US authorities involve improper payments to officials at PEMEX (some case studies). A good portion of PEMEX’s numerous and costly legal battles involve corruption claims against former employees related to schemes like using offshore shell companies to resell diesel fuel to PEMEX at artificially inflated costs. Notably, in many of these cases the ex-officials who engaged in improper conduct have been neither imprisoned nor fined. The intended effect of these provisions is to discourage and prevent corruption in the multi-billion-dollar public procurement opportunities that will open up as early as 2015. Indeed, the Energy Reform auctions will be more closely watched – both in Mexico and abroad – than usual. Indeed, the foreign investors that PEMEX is hoping to attract agree: anticorruption measures must be incorporated into the Energy Reform for it to be successful. I suspect, however, that the measures described above will not have much of a deterrent effect absent a dramatic and publicly-visible increase in enforcement, particularly against the still unpunished ex-PEMEX officials whose misdeeds are a matter of public record. Which brings us back to the Anticorruption Reform: if it isn’t effective – not to mention enacted – it is doubtful the Energy Reform will achieve its goals.